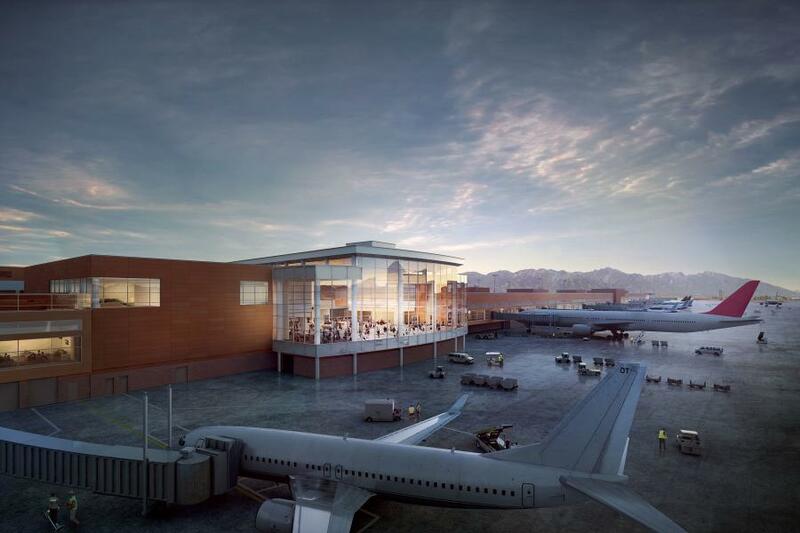 Salt Lake City International Airport photo The new facility will be built to current earthquake standards and sized to meet Salt Lake’s growing and changing needs. Fifty-five years ago, the Salt Lake City International Airport was built to service about 10 million passengers, but five decades later, the Delta Air Lines hub now sees more than twice that number of travelers. There was no doubt it was time for a new airport, an airport designed for the “next generation” of travel. The first phase is set to open in 2020 and a second phase four years later. 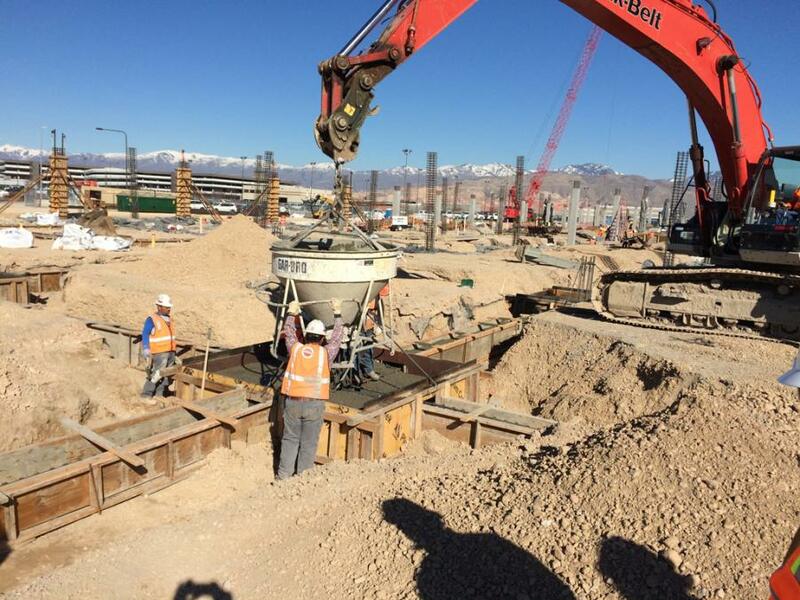 The new facility will be built to current earthquake standards and sized to meet Salt Lake's growing and changing needs. It will be easy to use, efficient, sustainable and cost-effective. At least that's the plan for the $2.9 billion project. 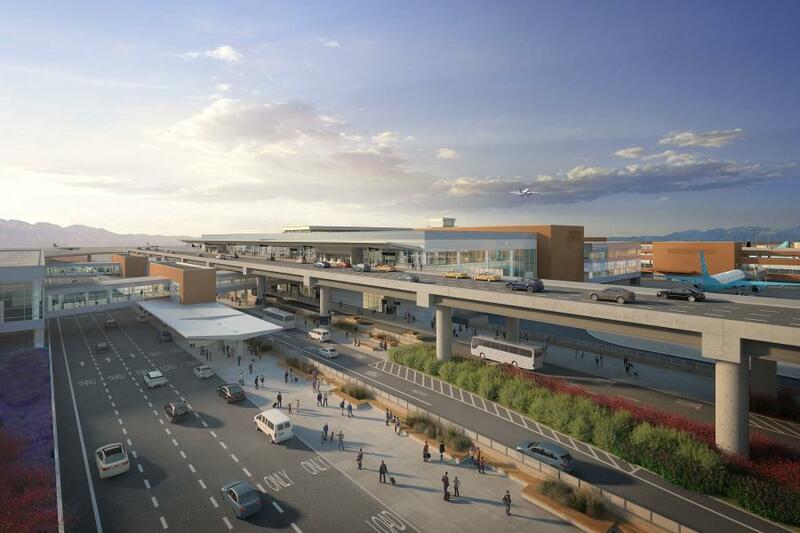 “The Airport has spent years assessing the best approach to a flexible design that meets operational needs, user convenience and sustainability,” said Nancy Volmer, director of Public Relations & Marketing, Salt Lake City Dept. of Airports. The new building also will aim for meeting a LEED Gold rating from the U.S. Green Building Council. But building a new airport in the shadow of the existing one is no small task. 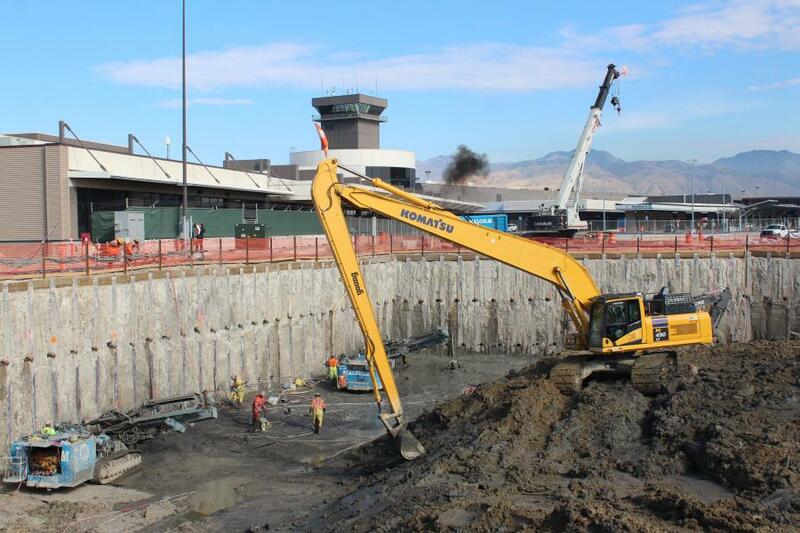 Construction crews with the joint venture of Holder-Big-DConstruction (HD) have been on the job since 2013. “The project involves 4 million square feet of construction,” said Fred Groome, HD general supervisor. 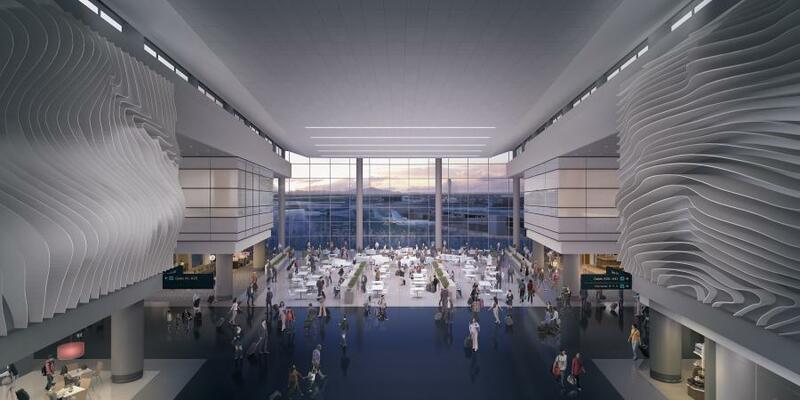 “That's 1.1 million for the terminal and the concourses are 450,000 sq. ft. each. Parking is 1.7 million sq. ft. The most important consideration is ensuring the existing airport is able to maintain operations, Groome said. Second to that is that the construction has zero impact on the ongoing travel operations at the airport. Although winter is upon the city that is the gateway to some of the country's most acclaimed skiing, the snow will not slow down the work, Groome said. The bigger challenges include working next to the Great Salt Lake. “We have this nice basement structure going in,” Groome said. “We had to put in cut off walls and shoring systems to get us in that basement. 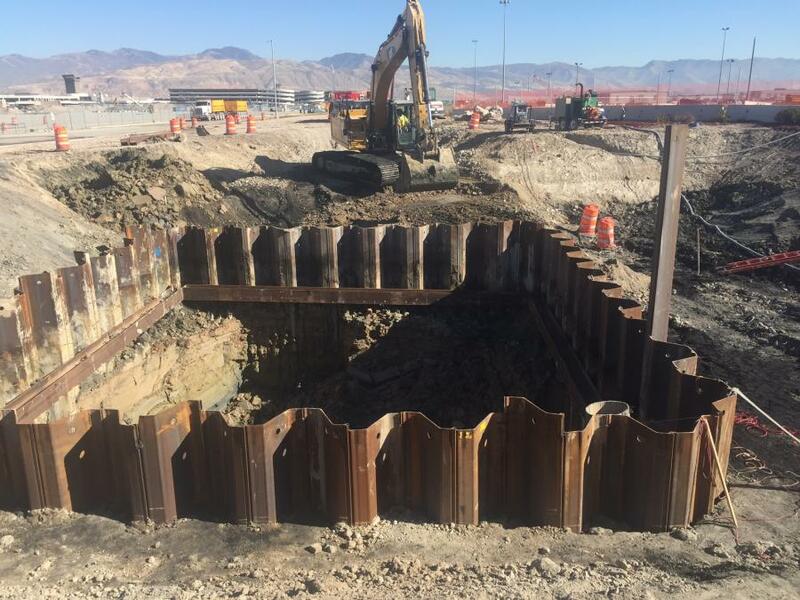 We're talking about doing things to protect existing facilities while we dig out a lake bed. 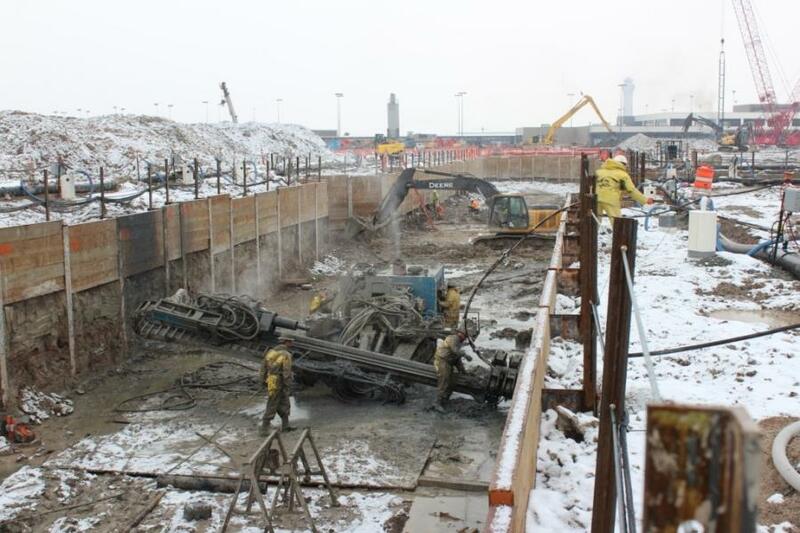 We have started reaching the bottom of the excavation. We had to drive piles and build our foundation system and get back to grade. That is probably the biggest challenge we have — just getting out of the ground. Another challenge is the shortage of construction workers. One of the ways, HD deals with that is by pre-fabricating components off site, then trucking them in. Another aspect of the job calls for the installation of 7,000 stone columns. With the deadline for completion less than four years away, crews are right on schedule and have already completed the new 500,000-sq.-ft. (46,451.5 sq m) consolidated rental facility. 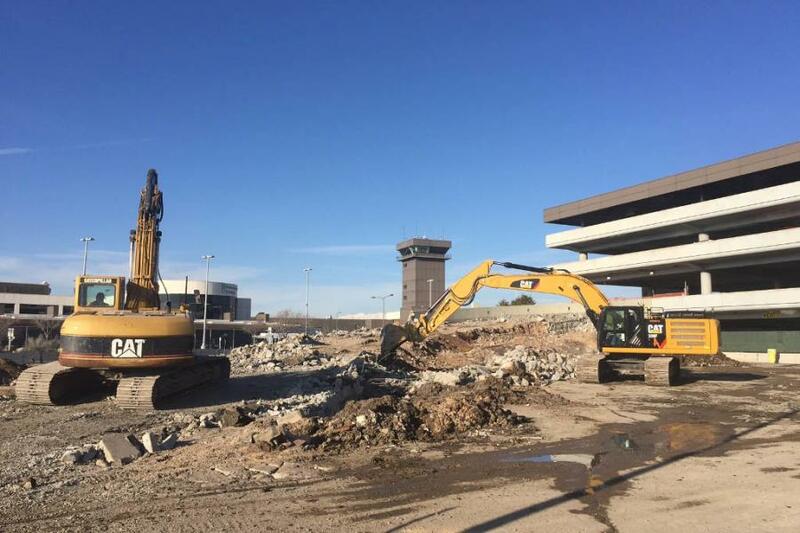 “Construction on the new rental car service facilities at Salt Lake City International Airport began in November 2014 and concluded in January 2016,” Volmer said. “The new buildings, currently in use by rental car providers, include a centralized Quick Turn Around (QTA) facility and three rental service sites (RSS). The QTA is used to wash, fuel and store vehicles and the RSS buildings are used for light maintenance and house administrative offices.